43 year old William Milton and his wife Elizabeth were living in St George, Hanover Square, Middlesex, at the time of the 1871 census. With them are their children: William, 14, born in Barnstaple; Elizabeth, 11; Joseph, 7; Maria J, 5 and Emily, 1. All the younger children were born in Portsmouth, Hampshire, whilst William (snr), a mariner, was born in Exeter, Devon. When Emily Milton's birth was registered in the December quarter of 1869, in Portsea Island registration district, her mother's surname was given as Jeffrey. Jeffery was given as the mother's surname when William Milton's birth was registered in the June quarter of 1857, in the Barnstaple Union registration district. There had been an earlier Milton birth registered with the mother's surname as Jeffery: Thirza Milton's birth was registered in the June quarter of 1854, in the Medway registration district. William Milton (jnr), the son of William and Elizabeth, was living at 20, Chapel Street New Cottages, Buckfastleigh, in 1881. Born in Barnstaple, he was a labourer in a woollen factory. This is probably the William Milton who married Ellen Coleman in the Newton Abbot registration district in the December quarter of 1882. The only problem is that on the 1881 census above William (jnr) was said to be already married, although no wife was with him on the census. Ellen was probably the Ellen Coleman, 7 year old daughter of Henry and Harriet, who was living with her parents in Kingsbridge Lane, Ashburton, in 1871. Ellen had 5 siblings at that time, one of whom was called Jessie. The family was still in Kingsbridge Lane in 1881, when Ellen was a wool sorter. William Henry Milton's birth was registered in Newton Abbot registration district in the March quarter of 1883. His mother's maiden surname was Coleman. He was baptised in Ashburton in April of that year. 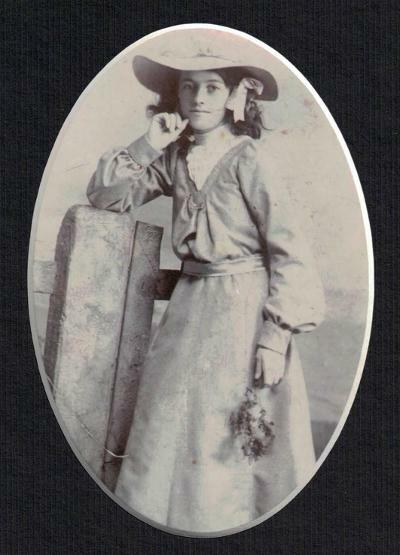 Jessie Milton, the daughter of William and Ellen, was born on the 24th May 1889. William was a general labourer, and the family lived in Kingbridge Lane. Above: Jessie Milton's birth certificate. Jessie was baptised in Ashburton on September 4th, with her father's occupation as factory hand in the parish record. Samuel Milton's birth was registered in the Totnes registration district in the September quarter of 1890. His mother's maiden surname was Coleman. Although living in Buckfastleigh, when Samuel was baptised in November of 1890 it was in Ashburton. 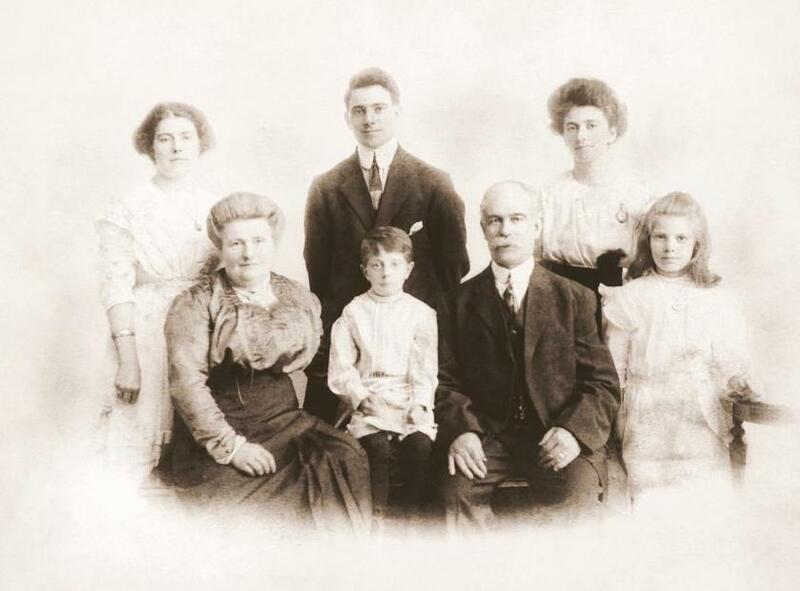 By 1891 the family - 32 year old William, Ellen, 27, and children William H, Samuel and Jessie, were living in Fowler(s) Court, Fore Street, Buckfastleigh. William said he was born in Pilton, Devon*. *Pilton is about a quarter of a mile north of Barnstaple town centre, and is now a suburb. In the 1901 census William and Ellen were living in Kingsbridge Lane, Ashburton, with their 11 year old daughter Jessie, and 10 year old son Samuel. Samuel had been born in Buckfastleigh; William's occupation was general labourer and carman. In 1906 William, Ellen, Jessie and Samuel emigrated to Lawrence, Massachusetts. Many thanks to Betsy Brien for the photograph and information. Their eldest son stayed behind, and might have been the William H Milton, fish dealer, living in Brixham at the time of the 1911 census. The 28 year old had been married to Minnie M for ten years, and the couple had 5 children: Louisa, Jessie, Blanche, Alice and Nellie. William had been born in Ashburton. A William Henry Milton had married Minnie Maud Giles in 1900 in Brixham, but said his father was also William Henry Milton, a coal merchant. Both William and Minnie said they were 20 years old. In the census of the following year William's age had reduced to 19, and Minnie (Maud on the census) was still 20.